MAJESTIC 6mm LED screen uses revolutionary LEDs and delivers the deepest black levels of any product on the market. When combined with a light output of 2000 NIT, a phenomenal contrast ratio of 4200:1 is achieved. MAJESTIC Indoor LED display screens available for hire that are at the forefront of LED video and display screen technology. MAJESTIC Indoor LED Display, with a refresh rate over 1920HZ, can offer stunning flicker-free broadcast-quality video images. Our single LED brightness calibration technology ensures a brightness tolerance of less than ±2%. As a result, after calibration, our LED displays show even brightness and better picture quality across the entire surface. Single LED chroma calibration technology is used for perfect color uniformity across the entire LED display. Additional skin-color and green-color rendering technologies calibrate every single LED so as to guarantee a softer picture and better stereovision, thereby bringing you instantly back to the natural world. Lightweight aluminum housing for easy transportation. MAJESTIC Indoor LED Display is ideal for temporary installation such as rental or staging. Good ventilation and heat dispersal design. In, out power and signal connectors as well as power and signal cables are all hidden behind a latched door at the back of the panel for better protection and ease of use. LED Screen On Hire is provided by our company Majestic Audio Visuals. We are pleased to introduce ourselves as the most preferred provider of LED Screen on Hire. As a leader in this field – our LED Screens are affordable and best quality. 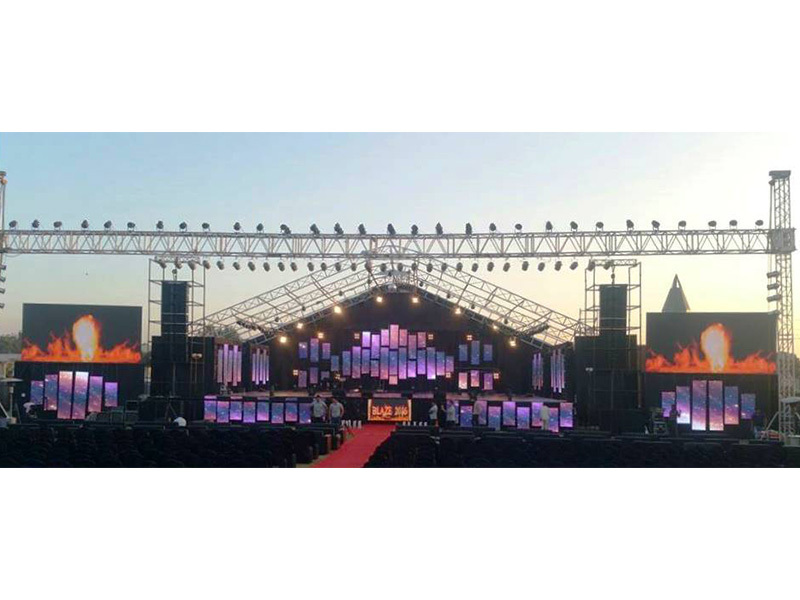 We are also a one of the leading exporters of LED Screen on Hire from India. Majestic Audio Visuals has been experienced provider of LED Screen on Hire since 1970. 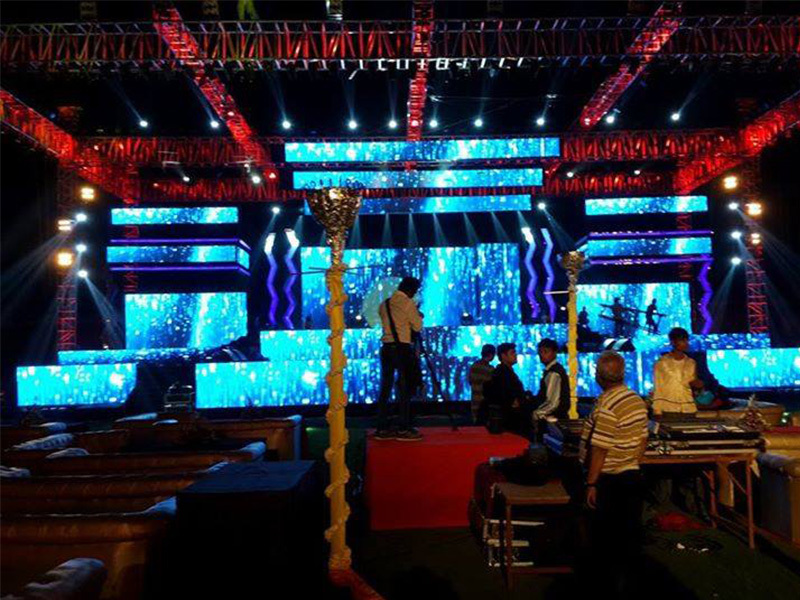 We provide all kind of Audio Visual Equipments and LED Screen On Hire with best quality and as per client requirement.